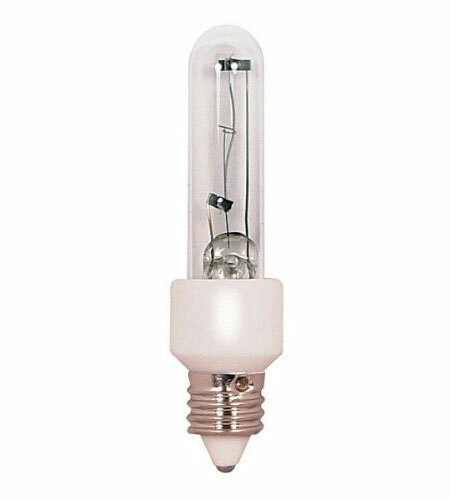 Q What is the base size of a 5903 CLR bulb? Any LED substitutes? A The base size of the Kichler Light Bulbs hting Bulb T3 or T4 100w Halogen Bulb 5903CLR is a Mini-Can. Unforunately, the vendor does not carry any LED substitues.